Takakeisho was officially promoted to sumo's second highest rank of ozeki on Wednesday by the Japan Sumo Association. "In order to live up to the name of ozeki, I will respect the bushido spirit, and be thoughtful and thankful at all times while devoting myself to the way of the sumo," Takekeisho said in his "kojo" stage speech, a custom for wrestlers newly promoted to the rank. 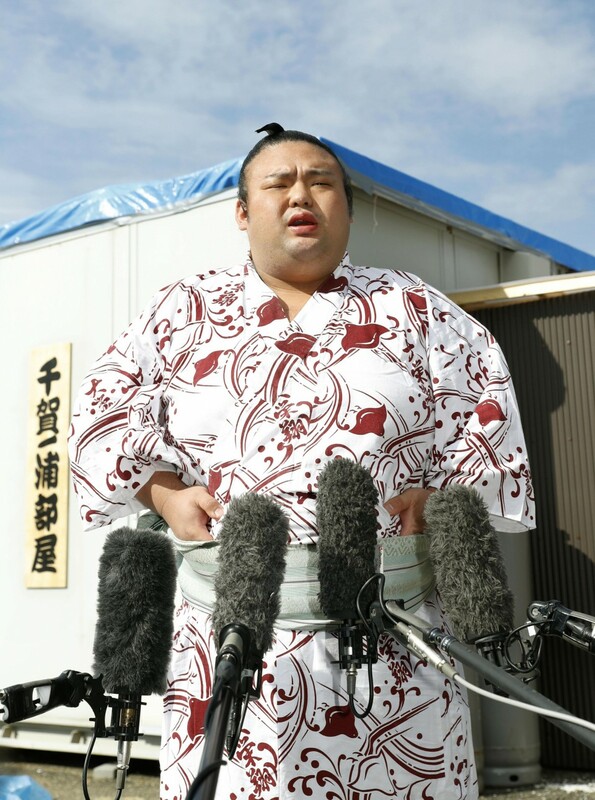 Takakeisho entered the "sanyaku" ranks, the three below yokozuna, as a komusubi in the 2018 New Year meet, four years after making his professional debut. He went 13-2 in Kyushu last November to claim his first top division championship, and by January had amassed 33 wins in three meets -- a mark considered a criterion for promotion. The JSA rubber stamped his promotion Wednesday when the sport's governing body discussed the rankings for the upcoming Summer Grand Sumo Tournament kicking off May 12 at Tokyo's Ryogoku Kokugikan. Calling the ozeki promotion a "childhood dream," Takakeisho told reporters after the ceremony that he is happy to have achieved one of his goals. "It hit me as reality when I was delivering the kojo," he said. "I should never forget the forward drive mentality. There's a higher rank in the banzuke. I'm rising to the challenge. I want to become a leader in the sumo world."